I am very happy to share this brand video I produced for the Tropical Forest Alliance 2020 (World Economic Forum). We produced multi-camera interviews in Jakarta and shot footage in Kalimantan (Borneo) and Sumatra, Indonesia. It also includes 2-D motion graphics. It is edited in a narrative style, with soundbites from interviewees introducing the purpose of the organization and featuring two case studies from Brazil and Indonesia. 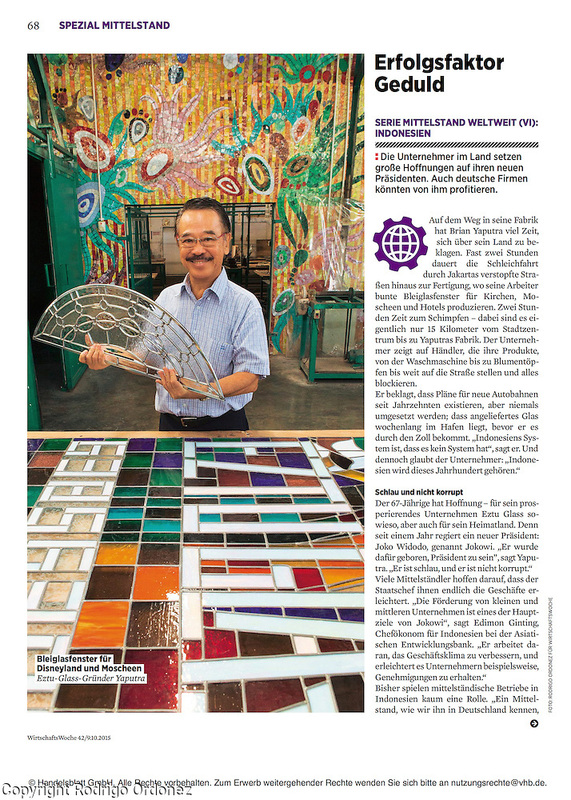 I really enjoyed working on this project, as I am particularly interested in climate change and environmental issues. Recently I was commissioned to shoot corporate portraits of a company’s executives in Asia. As usual with this type of shots, time was limited, so I made arrangements so that everyone could stand for a portrait in a short period of time. Using the same lighting setup also allowed consistency. Here is a sample of the portraits in black and white. I am shooting photo and video for an international client in a 5-star hotel in Central Jakarta, Indonesia. This assignment involved a lot of planning and pre-production to make sure the setup is right and everything runs smoothly today. The assignment included multi-camera, continuous recording of a live event with 100+ people and several interviews. All ready for the interviewee! Last month I shot a portrait of Mochtar Riady for the Business Life section of the Financial Times. It was published on all the print editions of the Financial Times on February 29, 2016. 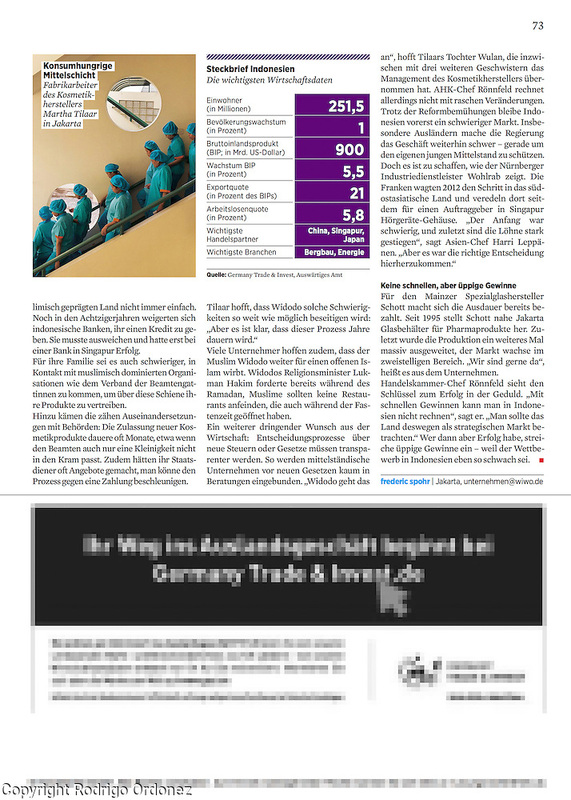 It was also published on all the online editions. 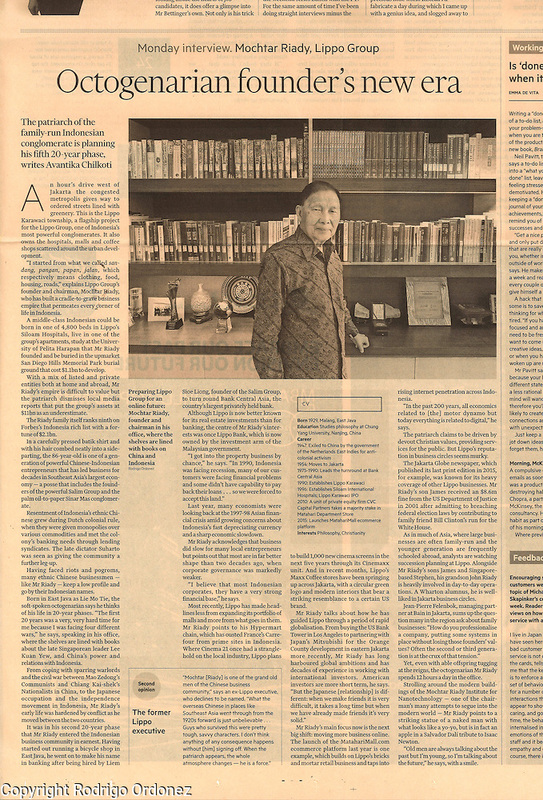 Mochtar Riady is the founder and chairman of multinational conglomerate Lippo Group. 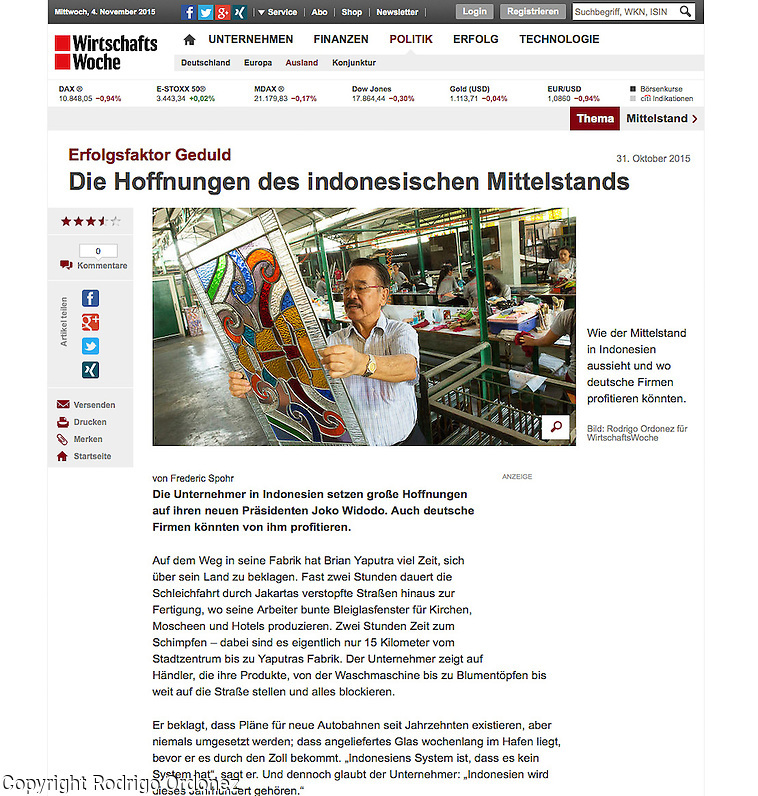 According to Forbes, he currently ranks #6 in the list of Indonesia’s richest and #854 globally. Executives have limited time, so shooting portraits is an art that requires a combination of technical and interpersonal skills. In another post I will share more details about how to approach an assignment like this. 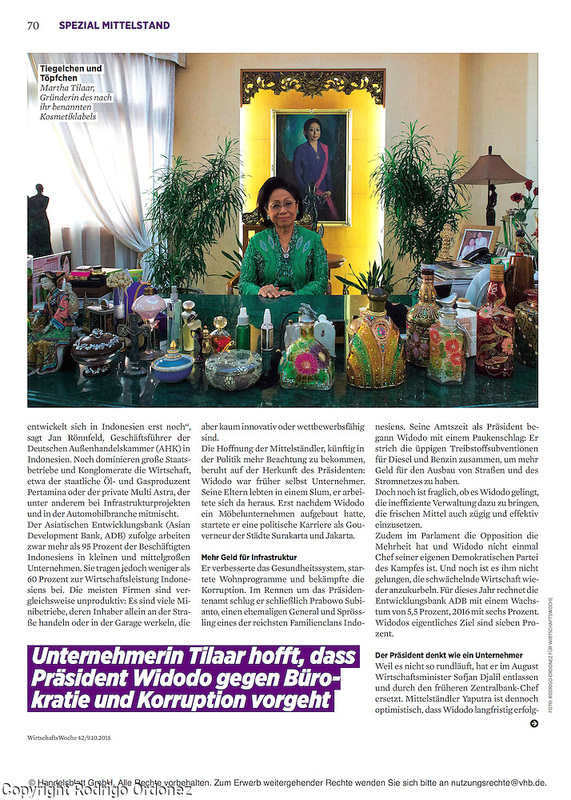 Tear sheets of editorial photographs published in German business magazine WirtschaftsWoche (aka WiWo) on a story on medium-size enterprises in Indonesia, featuring Eztu Glass and Martha Tilaar Group. The story was also published online.